One of the most frustrating things in my practice is a father who says he wants rights to his children but is unwilling to put his money where his mouth is, figuratively and literally. Those dads want the “fun” parts of the job and to spend time with the children, but do not want to do the “work” and do not want to pay child support or think whatever they are paying is enough. So first things first, pay your support, pay it on time and pay it every time. And when the need arises pay for something extra. With the support issue out of the way, in an initial custody determination, be it a divorce situation or a paternity/custody matter, mom and dad are on a level playing field. Yes, equal. Equal at least as far as the facts support that statement. In a divorce situation or a paternity/custody matter, mom and dad are on a level playing field. Yes, equal. Equal at least as far as the facts support that statement. The Court must conduct what is called an Albright Analysis (blogged about earlier, click here). This analysis looks at a number of factors including, the continuity of care* or who has been doing what for the child up to that point where you find yourself in Court, and what is in the best interest of the child. (*in initial determinations this is the biggest factor, barring extraordinary circumstances). If you are dad and 1) have been doing the bulk of the child care, 2) are a good, 3) safe, and 4) active parent there is no genuine threat to you in a custody battle because of your gender. However, if mom has been doing the 1) day to day care, 2) taking to and from school and3) the doctor and 4) soccer and 5) everything else, and you, as dad, spend time with the children on the weekends when you are not at work – just because mom gets custody does not mean the system was fixed and the mom always wins. Now the law does recognize a term called the tender years doctrine – which states a very young child should be with the mother, unless there is a compelling reason why the child should not, ie: mom is unfit- meaning a danger to the child. Sometimes if your child is very young and mom has the controls you just have to bide your time. The tender years ends between 2-3 years of age, with no definite, exact age. But dads can and do get custody if the facts are there to support that outcome. The other big peeve is dads that do not exercise their visitation. There is common acceptance out there that standard visitation is every other weekend (EOW), Friday to Sunday, Wednesday afternoons when you don’t have the weekend, alternating major holidays and 4-5 weeks in the summer. And some dad’s don’t take advantage of it. I call “standard visitation” a misnomer because there is technically no such thing as “standard visitation,” though that is in fact what is quite often ordered and/or agreed to. But there is also a trend, over the last several years, where dads are getting more time, if they want it and meet a few other requirements. If dad has been an involved dad, wants more time and the parties live in the same community that EOW can be expanded to Friday to Monday or Thursday to Monday of every other weekend. Research shows that dad being responsible for a school night results in the kids doing better. It also makes dad responsible for time that is not all “Fun” time AND it puts most of the pick-up and drop-offs at school, which means less of a chance of an altercation with mom. 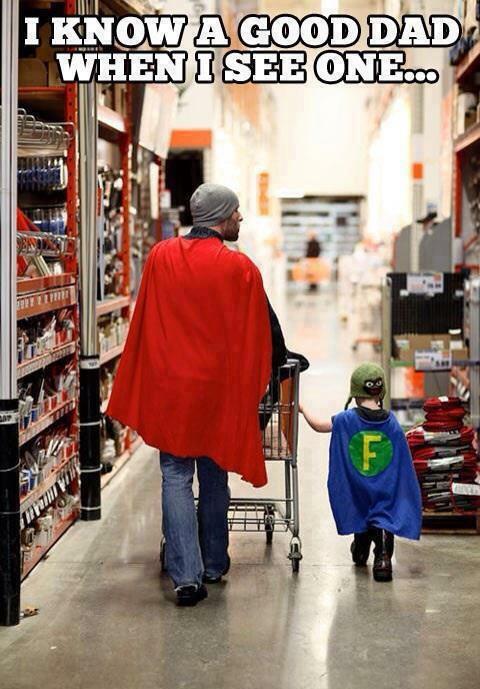 Dads can be more than every other weekend dads if they are willing to do it. Go to their ballgames, school programs, and dance recitals. Know who their teachers are and doctors. Don’t rely on mom for all of that and be mad when she does not give it to you. Get it yourself. How? Go to the school. Call the Dr.’s office. Mississippi law provides a means for you to have the right to those records. MCA Section. 93-5-26. (click here). Finally, don’t be intimidated by mom and her lawyer. Hire a lawyer. (Don’t say you can’t afford one, you cannot afford to NOT have an attorney). Mom and her attorney will not run you over unless your conduct provides them the truck to do it. And if your conduct does provide that truck, STOP. Act right. Do it for your children and yourself. Previous Post21 (And We’re Not Talking About BlackJack) Age of Majority – EmancipationNext PostModifying Your Divorce Without the Court, Think Again. What if visitation rights or schedule was never established…I’m just curious to know if the DHS lawyer was correct. Please see email response. Thanks for your question. But, I Cannot Afford an Attorney…Low to No Cost Help is Out There.